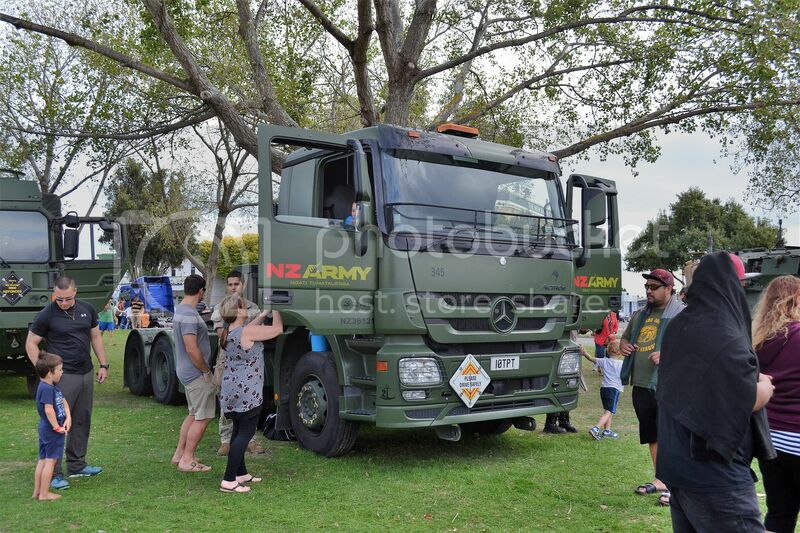 The Professionals Big Rig day at Palmerston North was held last Sunday to raise money for child cancer. 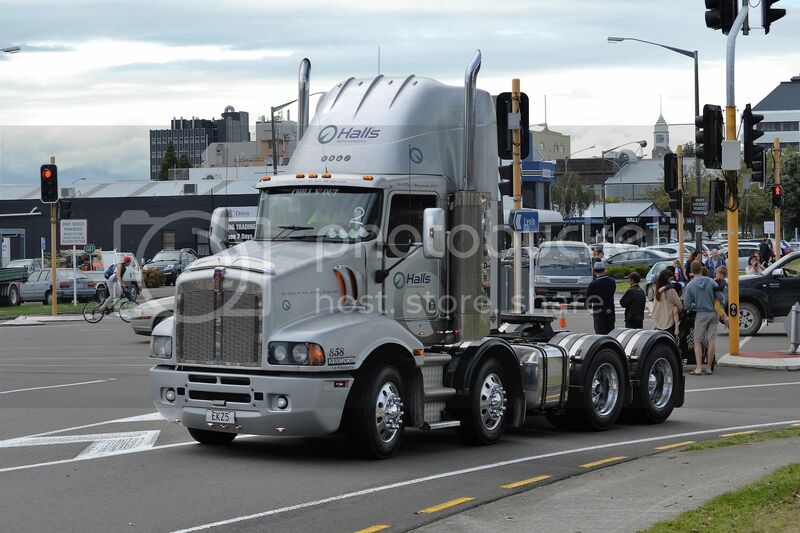 One could ride in a big rig for $2 and many did just that. Here are some of the snaps I took. 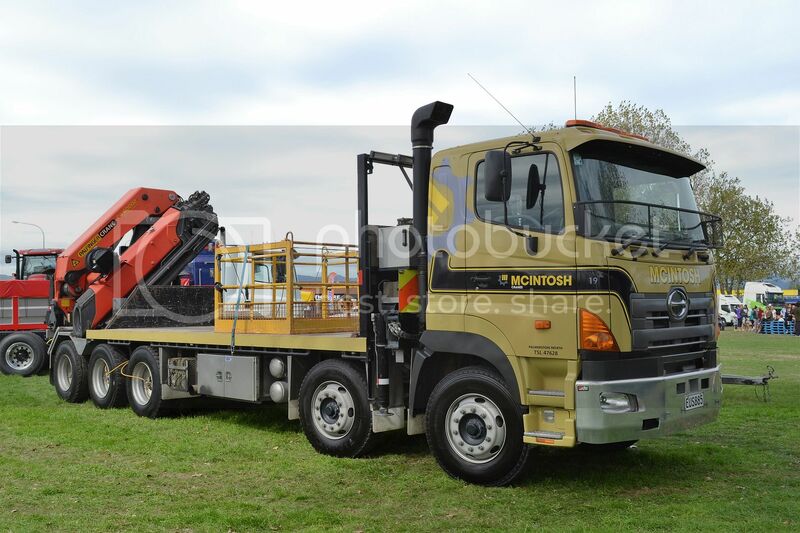 McIntosh Cranes of Palmerston North have this 2007 Hino with an extra axle to support the mass of the Palfinger. 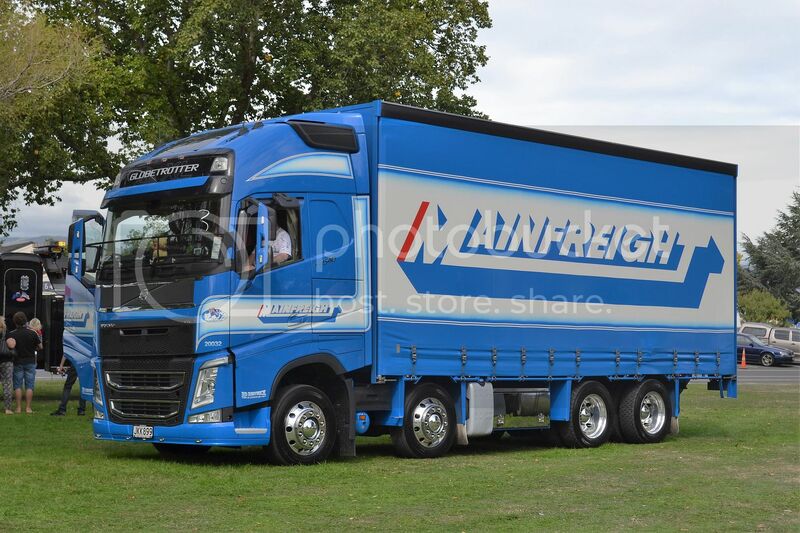 2015 Volvo FH in Mainfreight livery is a long way from it's Blenheim base. 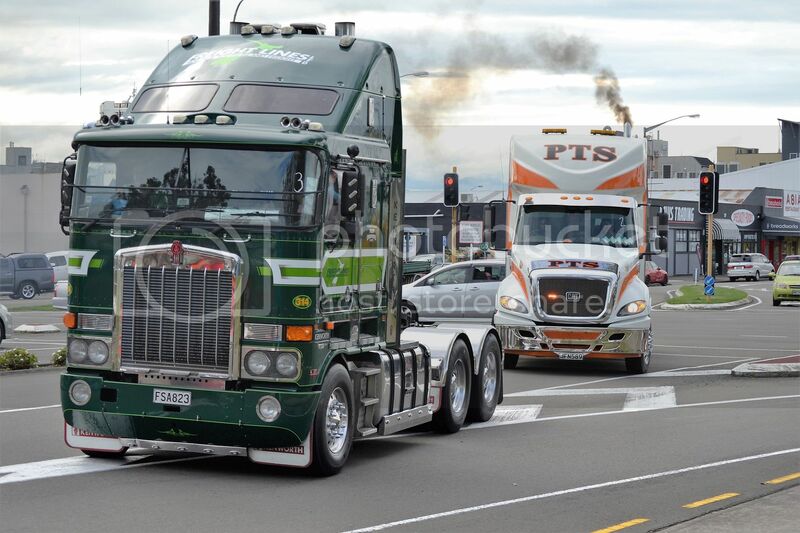 Five-and-a-half year old Kenworth is still looking smart in Freightlines colours. 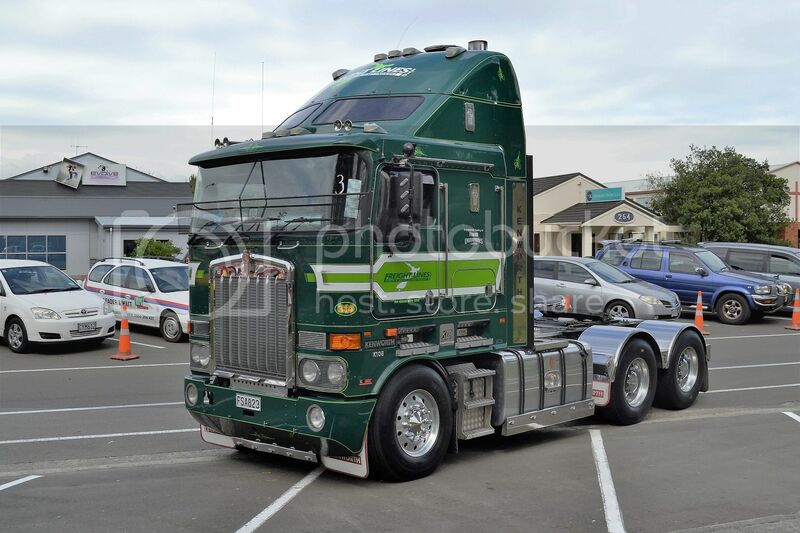 2007 Mack Trident of Clive Taylor from Paraparaumu. 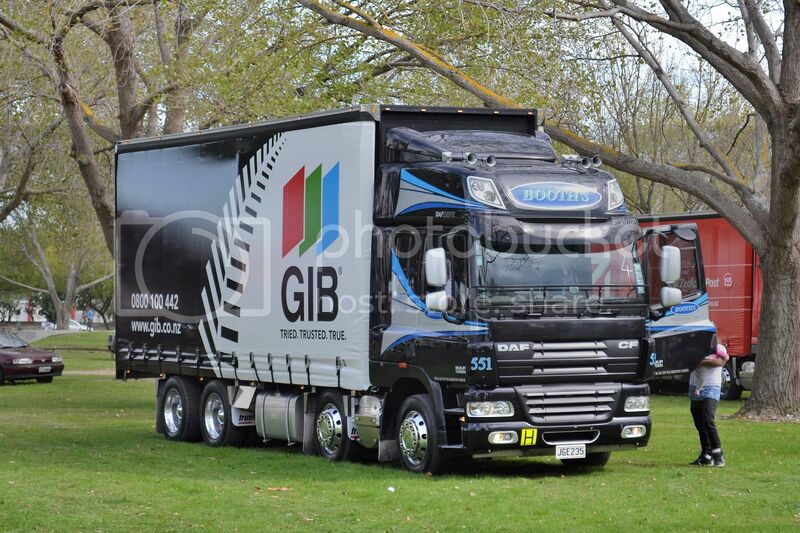 Black with splashes of blue and silver could only be a Booth's rig. 2015 CF85 DAF. 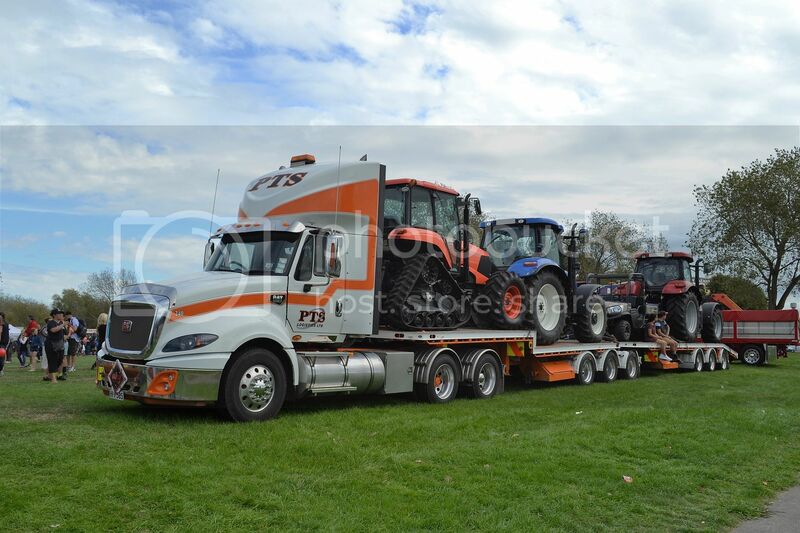 On display, was this CAT 9 axle b-train rig of PTS, loaded with farm machinery. 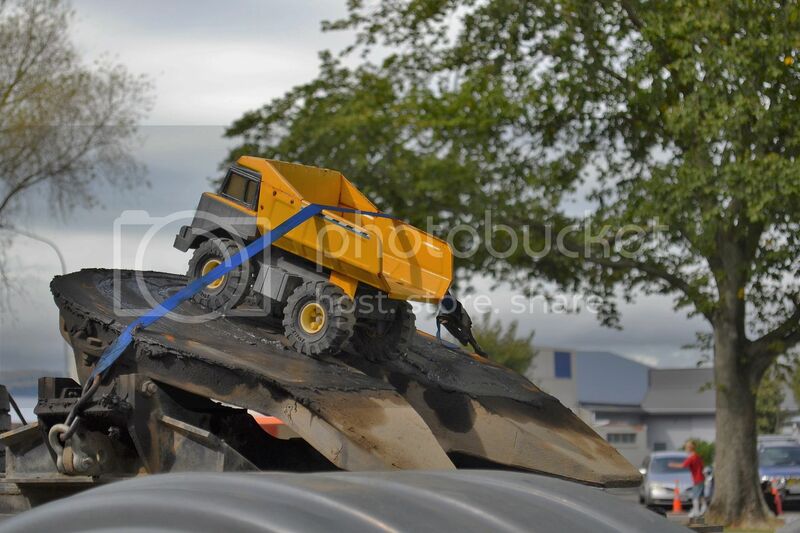 The same KW as shown earlier, returns from it's run, followed by a PTS CAT, blowing smoke, after suffering an injector problem. 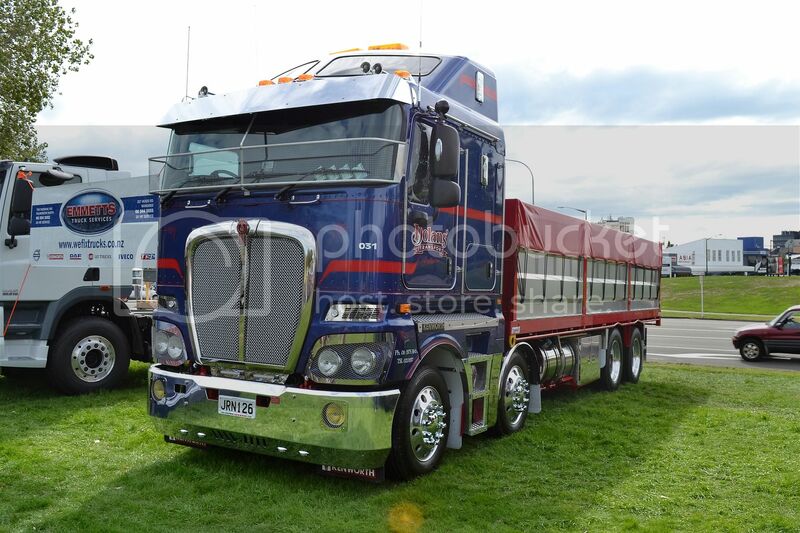 A returning 2008 Kenworth T404S. 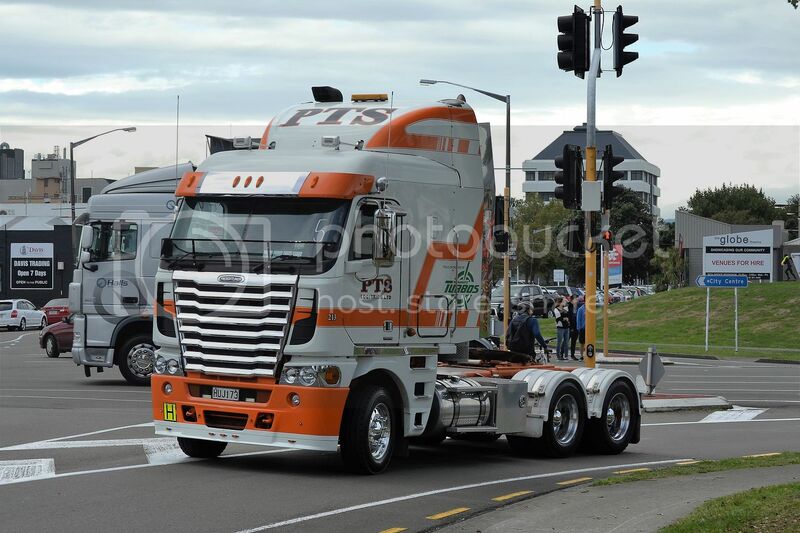 16 month old Freightliner Argosy from the PTS stable. 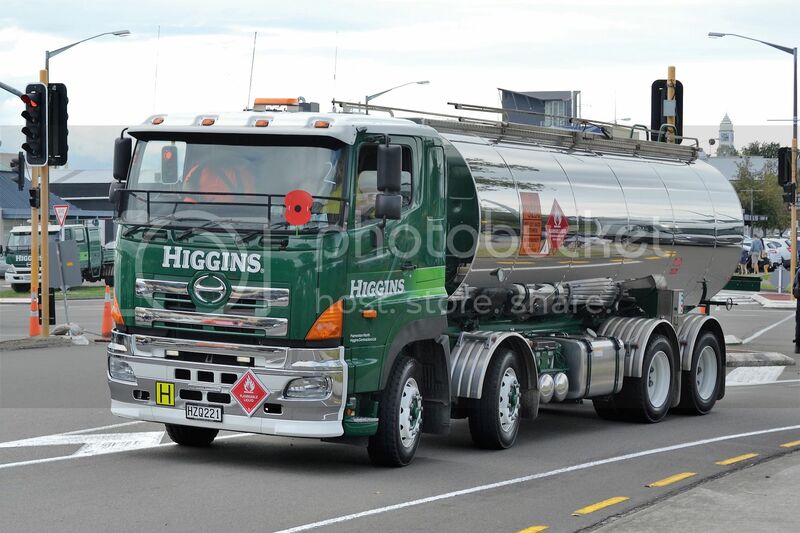 Very shiny tank on the 2015 Hino of Higgins. 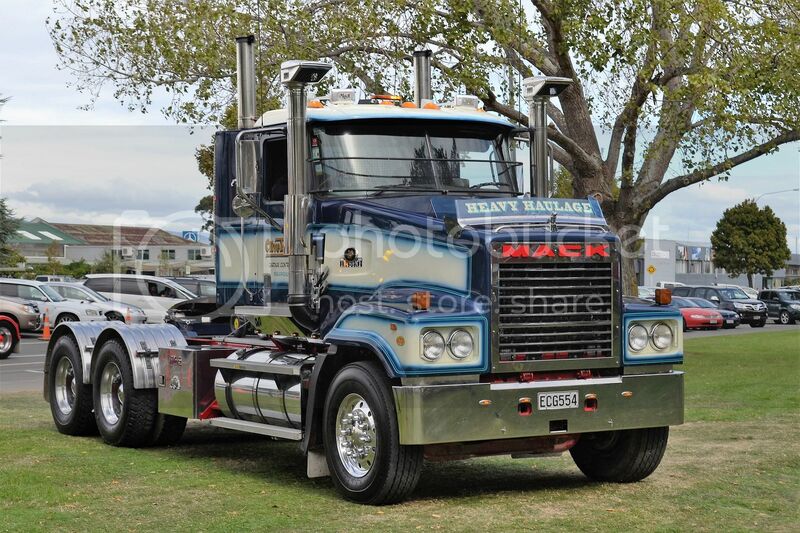 Mack FR700, 37 years old and looking like new again. 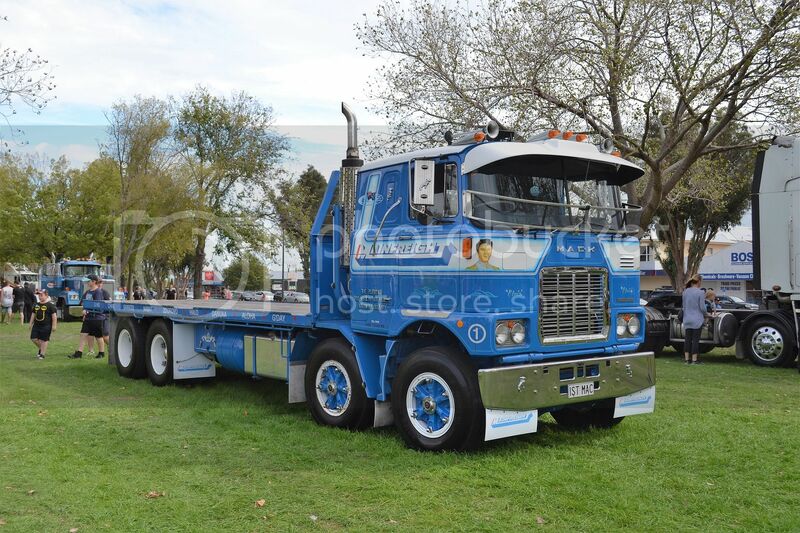 Brand new Kenworth K200 for Dolan's of Ashburton, to be based at Rolleston by the looks of the signage.